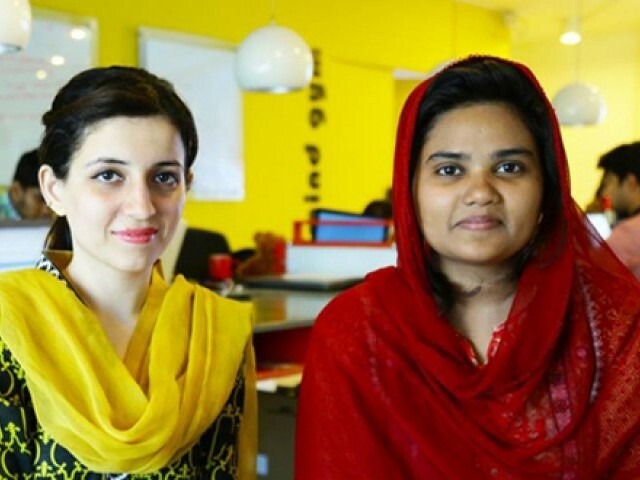 KARACHI: Two Pakistani female entrepreneurs – Shanza Khan and Rabab Fatima – have recently developed clinical software, aimed at assisting people with speech disorders. The software, called Bolo Tech, offers speech solutions in Urdu language to people suffering from speech problems, and hopes to improve their speaking power. In an interview, Shanza shared that one of the main reasons behind developing the software was the dearth of facilities provided in Pakistan to patients suffering from speech and communication disorders. “In Pakistan, there are not many speech therapists available to patients, and where they are available, they charge between Rs3,000 to Rs5,000 per visit,” she said, adding that according to recent survey results about 13% of the country’s population suffers from speech and communication disorders. Talking about the mechanism of the software, Shanza said that it offers basic speech therapy and is supported by audios, visuals and games. “How it works is that the therapists recommend their patients to use the online software, which will record all their speech exercises, and then the therapists will monitor the recorded exercises and recommend what to do next,” she said. “Currently, we are trying our best to have almost all the speech therapists in Pakistan available online to the people with speech disorder. At present, we have some six to seven therapists available online,” she added. The software, which is in its testing phase, allows people with speech disorders to find a therapist online on the website, however, it is not catering to special children at the moment. The first version of the software is scheduled to be launched next month in three schools, which include Pakistan Disabled Foundation and Visl Wes School for children with special needs and slower learners. Published in The Express Tribune, April 24th, 2017.